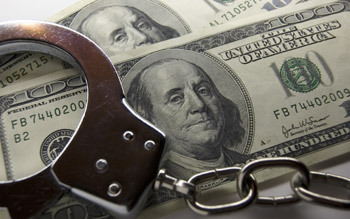 The IRS Criminal Investigation Division and the Department of Justice (DOJ) Criminal Tax Division investigate and prosecute cases of suspected tax fraud and other financial, or “white collar,” crimes. The IRS Special Agents are experts at uncovering fraud. DOJ attorneys are skilled litigators with the resources of the United States government to support them and their investigations against U.S. taxpayers who have committed tax fraud and other violations of tax laws. If you suspect that you may have committed one of the above, either willfully or unknowingly, you should contact our experienced IRS disclosure lawyers immediately before the IRS or DOJ begins a criminal investigation! Thorn Law Group can help you to correct these errors and bring you into compliance. Please contact offshore bank accounts attorney Kevin E. Thorn, Managing Partner of the Thorn Law Group at ket@thornlawgroup.com or call (202) 270-7273 to assess your civil and/or criminal exposure or click to see if we have an office close to you.